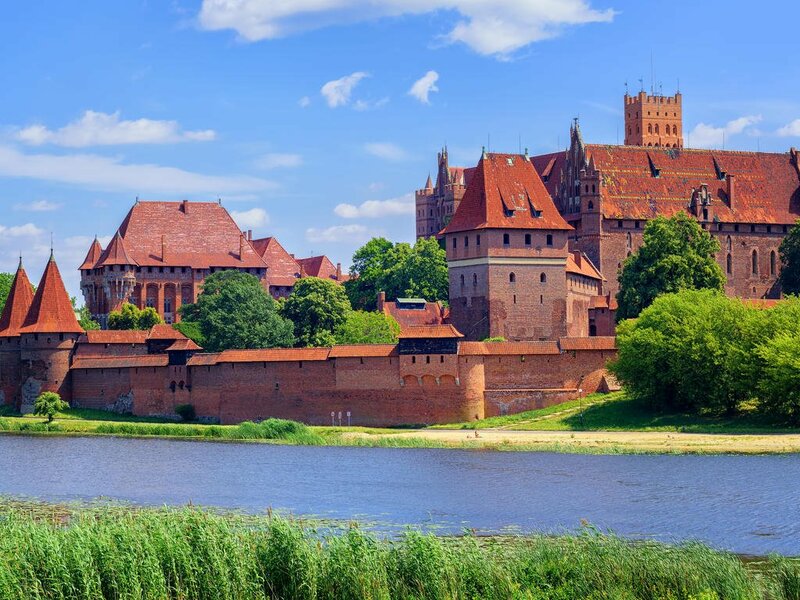 Situated on the Baltic Sea, Poland is a living history museum showcasing a captivating past. 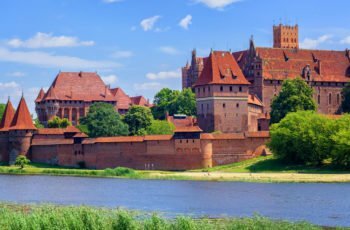 This charming Eastern European country is renowned for its spectacular medieval architecture, cultural heritage and turbulent yet triumphant history. 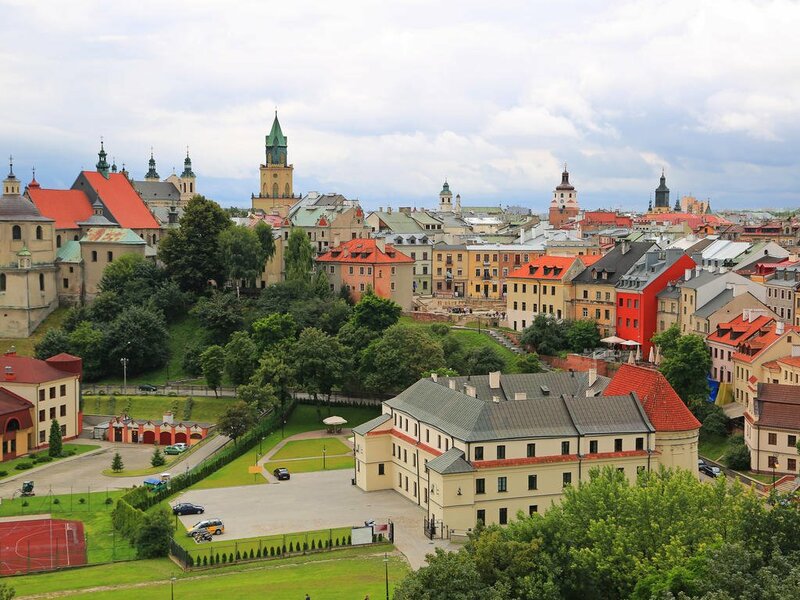 First and Second World War enthusiasts can explore the various Holocaust memorials, monuments, museums, and restored synagogues commemorating Poland’s remarkable survival. The country’s remote and unspoilt landscape features lush woodlands, broad rivers, glistening lakes and rolling hills. 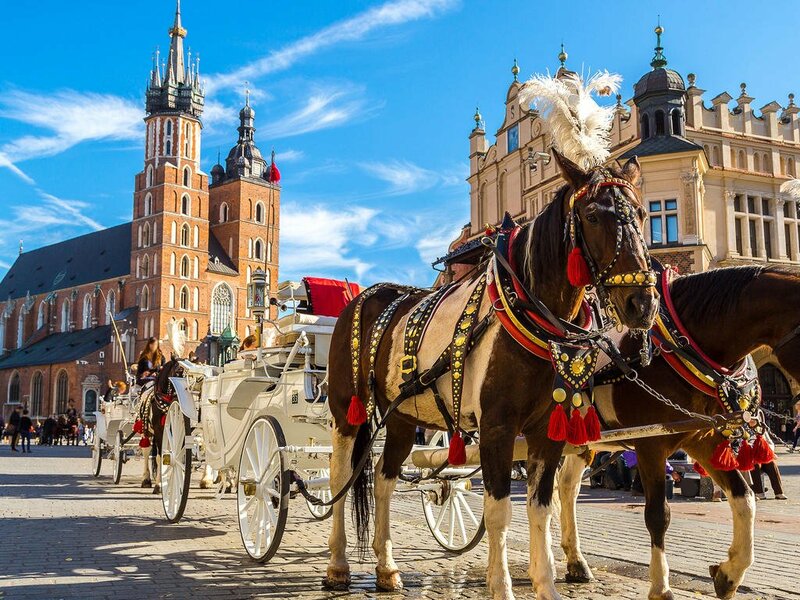 A visit to Poland will no doubt include the trendy medieval city of Krakow as well as the bustling city of Warsaw. 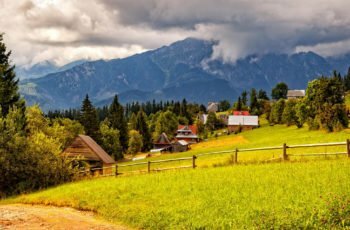 Visitors can look forward to many activities including: hiking through scenic mountain terrain in the south of the country, sampling regional culinary specialities, discovering rural villages and wooden churches tucked away in the Carpathian hills and exploring the many ancient castles dotting the hills of Poland. Electrical sockets in the Republic of Poland are one of the two European standard electrical socket types: The "Type C" Europlug and the "Type E" and "Type F" Schuko. If your appliance's plug doesn't match the shape of these sockets, you will need a travel plug adapter in order to plug in. Travel plug adapters simply change the shape of your appliance's plug to match whatever type of socket you need to plug into. 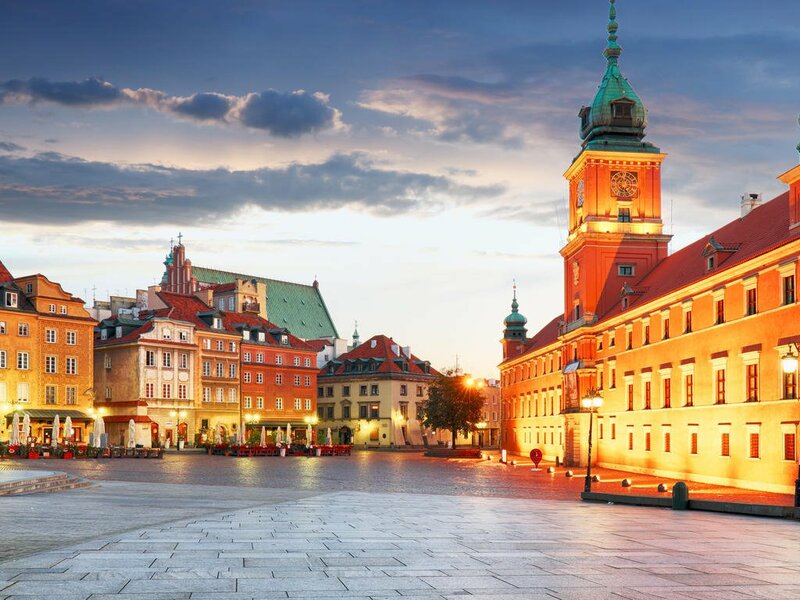 If it's crucial to be able to plug in no matter what, bring an adapter for all three types.Electrical sockets in the Republic of Poland usually supply electricity at between 220 and 240 volts AC. If you're plugging in an appliance that was built for 220-240 volt electrical input, or an appliance that is compatible with multiple voltages, then an adapter is all you need. If your appliance isn’t compatible with 220-240 volts, a voltage converter will be necessary. CurrencyThe currency of Poland is the Złoty (PLN; symbol zł) = 100 groszy. Notes are in denominations of zł200, 100, 50, 20 and 10. The coins are in denominations of zł5, 2 and 1, and 50, 20, 10, 5, 2 and 1 groszy. 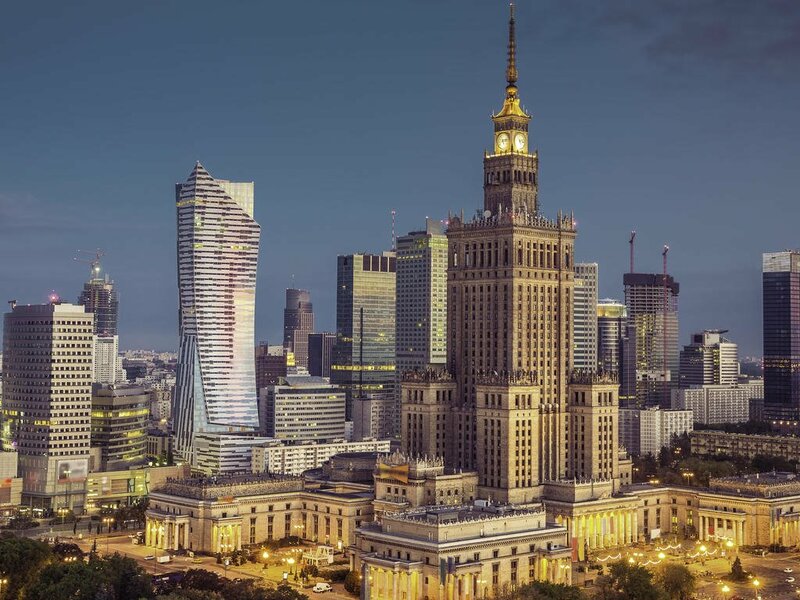 Poland is required under the terms of its accession to the European Union in 2004 to adopt the Euro as its national currency sometime in the future.BankingBanking hours: Monday-Friday 09h00-16h00, Saturday 09h00-13h00 in main cities. In smaller towns, banking hours are more limited.American Express, Diners Club, MasterCard and Visa cards are accepted in larger establishments. You can obtain cash from Visa credit and debit cards at banks and from ATMs. Most ATMs also accept MasterCard, Cirrus and Maestro cards.Traveller's cheques can be exchanged, but are usually more expensive and troublesome than ATM withdrawals. 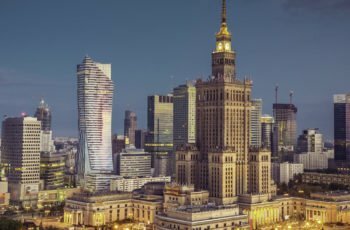 Also, exchanging traveller’s cheques in Poland has been reported to be problematic; most Bureaux de change won’t change them and the banks that do, usually charge a commission on top of the one you’ve already paid when buying the traveller’s cheques. A wide range of ingredients populate the kitchen here, including dill, marjoram, caraway seeds, wild mushrooms and sour cream, which is frequently added to soups, sauces and braised meats.Mains and well water are safe to drink, but don’t drink water from rivers or lakes even if it looks pristine – it may contain bacteria or viruses that can bring on diarrhoea and vomiting. Milk is pasteurised and dairy products are safe for consumption. Local meat, poultry, seafood, fruit and vegetables are generally considered safe to eat.A tip of 10% to 15% is customary in restaurants and cafes. Add in your tip and communicate with the waiter. Do not just hand the waiter a note and say ‘thank you’ at the same time, which here means ‘keep the change’. 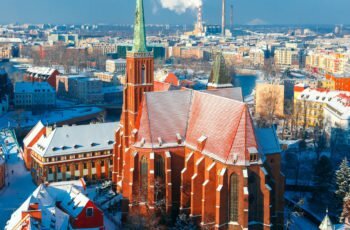 Poland’s climate is temperate with warm summers, crisp, sunny autumns and cold winters. 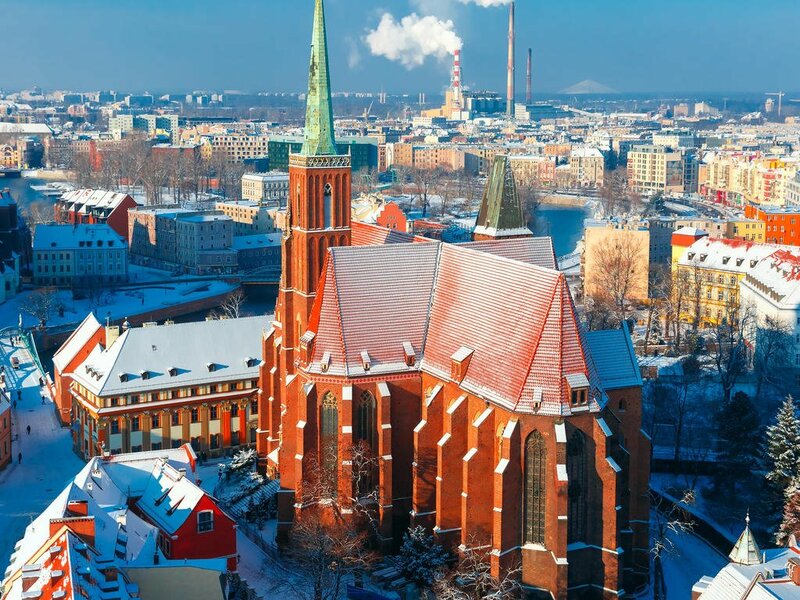 Snow covers the mountainous area in the south of Poland (mid-December to April). 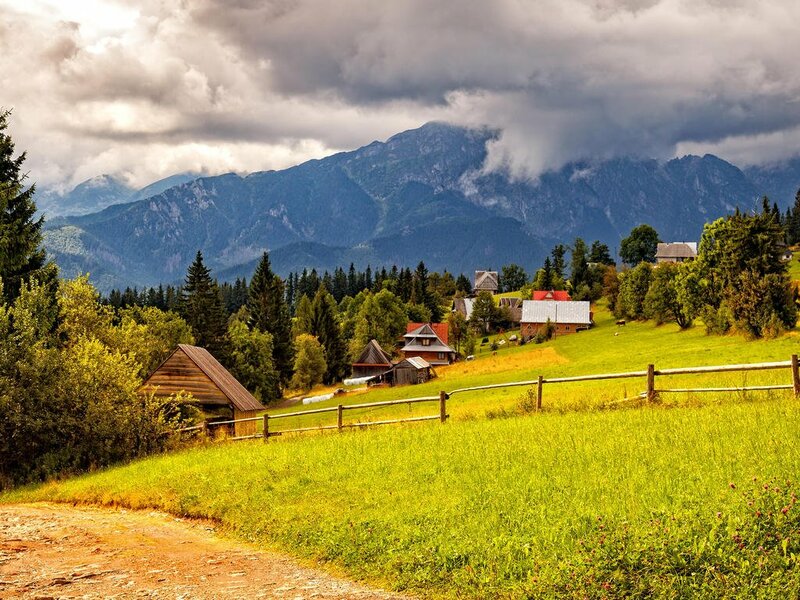 Rain falls throughout the year.The most pleasant times to visit Poland are late spring and early summer (May-June) and late summer and early autumn (September-October), when it’s still warm and the crowds of tourists have either not yet arrived or have already gone home. The added advantages of these shoulder seasons are that you’ll hit the asparagus season in spring and enjoy the best hiking conditions in early autumn. Poland’s national airline is LOT Polish Airlines. 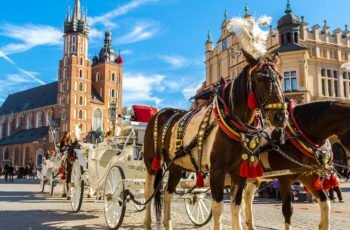 Other airlines operating flights to Poland include easyJet, Ryanair and Wizzair.Road quality ranges from smooth brand-new motorways to narrow, pot-holed single lanes, with horse-drawn carts, tractors and other agricultural machinery in abundance. Self-drive cars are available at the airport or through various car-hire offices in town centres. All major firms are available. Taxis are easily available and not too expensive in towns and cities. Hail them on the street or go to a taxi stand. 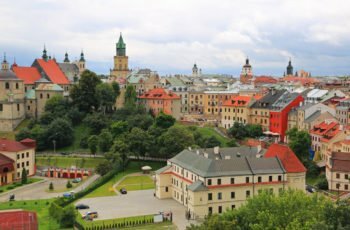 Avoid unlicensed taxis in Poland.Poland has a comprehensive bus network run mostly by Polonus that links up even the smallest village connected by road. But buses are useful on short routes only; trains are always quicker and more comfortable. Light to medium weight clothing is worn during warmer months. Medium to heavyweight clothing is needed during winter. Rainwear is advisable all year-round. You might also want to bring good walking shoes/hiking boots for urban/rural exploration. In general, Poles dress casually. If you expect to attend a wedding or red-letter party, bring something dressy. Light to medium weight clothing is worn during warmer months. Medium to heavyweight clothing is needed during winter. Rainwear is advisable all year-round…. 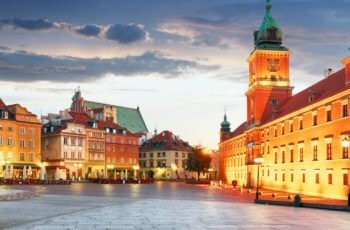 Poland is safe in general. We recommend normal precautions be taken as you would for any city in the world. Be aware of your surroundings and stay in well-lit areas. ENTRY REQUIREMENTSMake copies of all your important documents such as passports, driver’s licenses, credit cards, etc. Keep copies with you and back at home. If anything is lost or stolen this will be a lifesaver.Passport:Passports must be valid for at least 6 months beyond the intended departure date. Please ensure you have at least one blank visa page (not endorsement page) in your passport.Visa:U.S. citizens do not require a visa for stays under 90 days within each 180-day period. Non U.S. citizens should consult with your local embassy. Language:Polish is the official language. National Emergency Numbers:Police: 998Fire: 998Ambulance: 999Public Holidays:The dates of certain public holidays change from year to year – refer below. If a public holiday falls on a Sunday, then the Monday is also declared a public holiday.Jan 01 New Year’s DayJan 06 EpiphanyApr 16 Easter SundayApr 17 Easter MondayMay 01 Labor DayMay 03 Constitution Day June 4 Whit SundayJune 15 Corpus ChristiAug 15 Assumption of MaryNov 1 All Saints’ DayNov 11 Independence DayDec 25 Christmas DayDec 26 Boxing DaySocial conventions:Jay walking is a serious offence in Poland and is punishable with a fine. 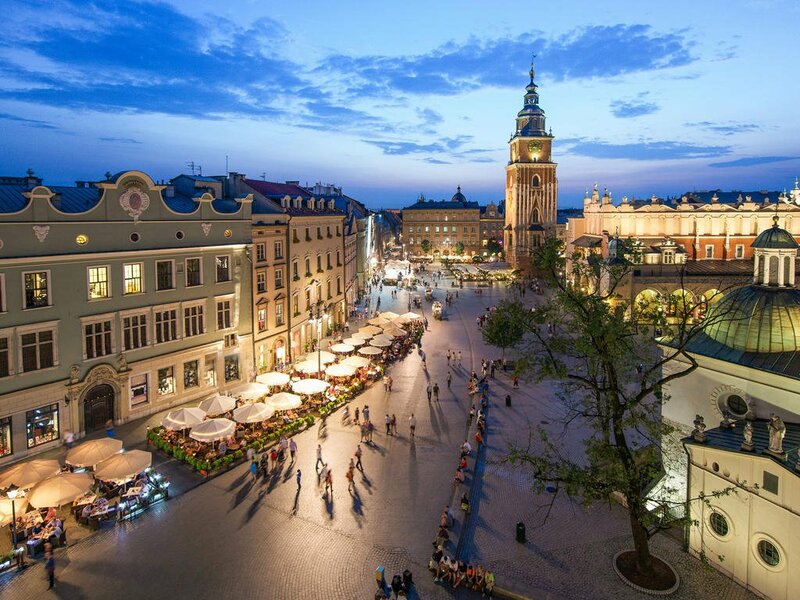 Public drunkenness is severely viewed; police will take drunk people to drying out clinics until sober and the person will be charged for the stay.Time Zone:Poland is on Central European Time and is 6 hours ahead of USA Eastern Time Zone.Tipping:Tipping is not customary in Poland, but small gratuities of 10 percent or so can be offered for excellent service. In restaurants, when your bill is collected, saying ‘thank you’ signals to the waiter/waitress that they can keep the change.